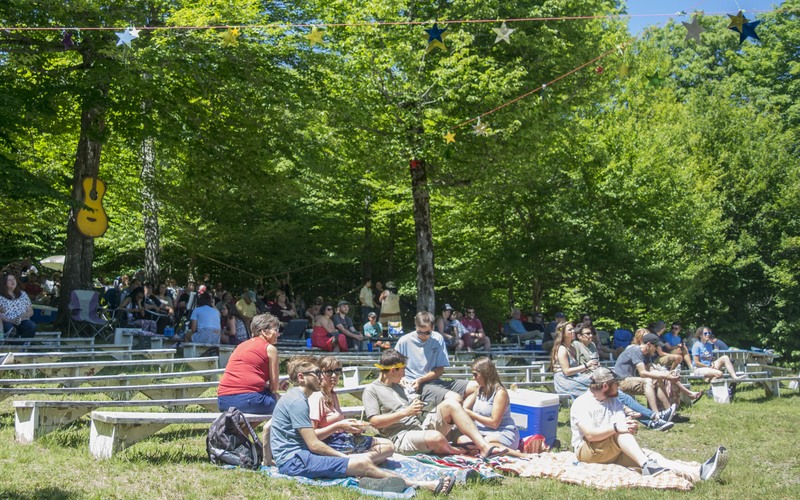 NEW SWEDEN, Maine — Music fans from across The County and beyond flocked Saturday to the all day Arootsakoostik festival to enjoy more than eight hours of entertainment as a variety of musicians played in an arboreal amphitheater under a nearly cloudless sky at Thomas Park. Her mother Sharron Collins said she will spread the word next year and let everyone know about their positive experience. Festival organizer Travis Cyr opened the noon to 9 p.m. festival with a short set while accompanied by the Stay Glad band. 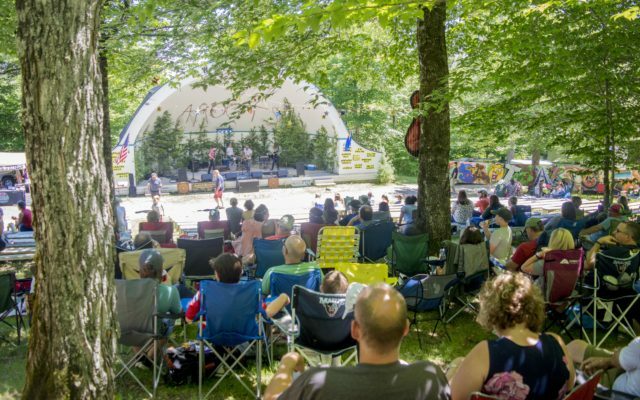 Hundreds attended the 2018 Arootsakoostik music festival, with many guests opting to sit in lawn chairs or on towels as opposed to the benches in Thomas Park. He was followed by El Malo, The Rugged, Sybilline (formerly known as Hannah Daman and the Martel Sisters), Tricky Britches, The Mallett Brothers, The Ghost of Paul Revere, and the Toughcats. Most bands had members available after their sets to sell music and merchandise, and a variety of vendors set up shop throughout the park, offering numerous refreshments including brick oven pizzas, lobster rolls, ice cream, fried food, and blueberry popsicles. 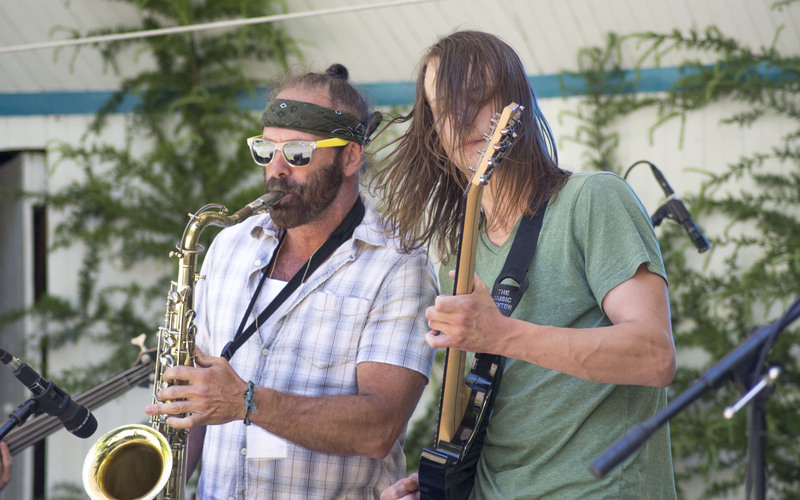 Portland-based El Malo performed an eclectic instrumental amalgamation of jazz, funk, hiphop, funk, soul, and latin dance, a sound the band has dubbed “salsacore,” during the July 7 Arootsakoostik music festival in New Sweden. After running a show every year for a decade, Cyr took a year off from Arootsakoostik in 2017 and said this spring that he “really missed it,” and heard the same from longtime fans of the show. “From the initial idea of bringing it back, to booking the bands, to support from everyone involved up until this very point, everything has gone incredibly smooth and it’s encouraging,” Cyr said Saturday. Arootsakoostik wouldn’t be possible without help from sponsors, volunteers, and even members of Cyr’s family. Danielle Cyr, his sister-in-law, has sold tickets at the gate for three of the festivals. “The turnout is a little bit lower than we maybe expected in the past,” she said two hours into the festival, “but a lot of people are carpooling and there’s a lot going on today locally,” adding that organizers usually see a steady stream of guests until about 4 p.m.. The gatekeepers aren’t stuck to their posts either, and Danielle said they usually take turns in order to enjoy bands, adding that she was looking forward to seeing Tricky Britches and The Mallett Brothers that afternoon. The Collins family, from left, Rebecca, Abby, Sharron, and Ellie, attended Arootsakoostik for the first time this year, and offered to paint the faces of concert-goers at Thomas Park in New Sweden. 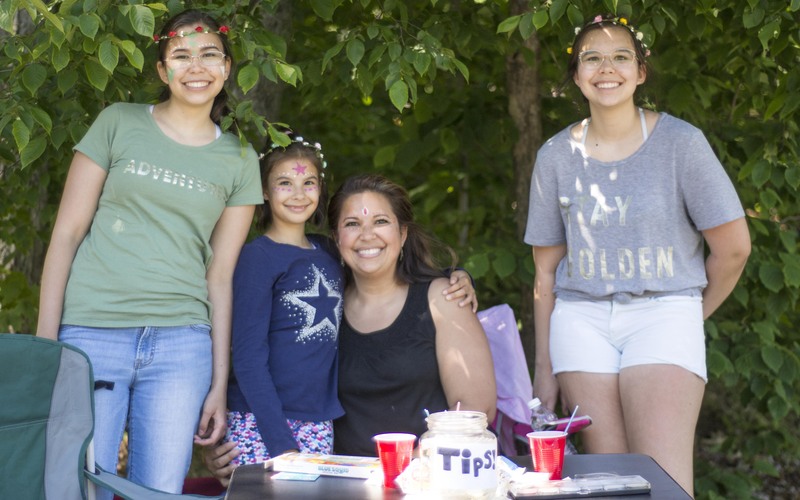 Even during its 11th iteration, Arootsakoostik still attracted newcomers such as Sharron Collins and her daughters, who offered face painting to guests. Sharron Collins said they found out about Arootsakoostik through Facebook, and decided to participate. Her daughter Rebecca said the weather was “absolutely perfect,” adding that the “breeze keeps things cool,” and, overall that Saturday is “so much better than it was” earlier in the week. The family unanimously agreed that they would “absolutely” come back next year. It’s too early for Travis Cyr to say if the festival will continue on a yearly or biennial basis, but he believes the future is bright for Arootsakoostik. He added that he was thankful to everyone who came out to support the festival.